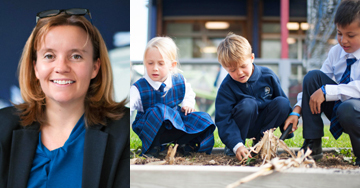 Located in Mawson ACT, Canberra Christian School is a primary school with around 140 students, plus an early learning centre with 80 students. In this video Principal Bree Hills discusses the school’s philosophy, it’s achievements, some of the challenges it has faced, and her journey from former student and parent council member to becoming the school’s Principal. Download a PDF version of this interview here.